There’s a new Colonel Sanders at KFC — again. 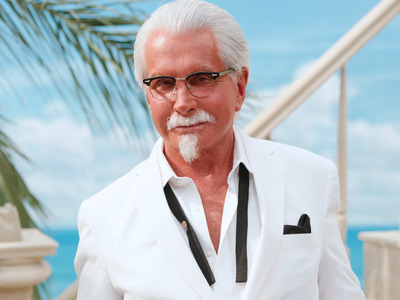 The fried chicken chain has hired actor George Hamilton to portray its founder, Colonel Sanders, in television ads for Extra Crispy Chicken. However, there’s a twist. Hamilton will be playing the “Extra Crispy Colonel,” the first Colonel Sanders to represent a specific product: Extra Crispy Chicken. Unlike the Original Recipe, Extra Crispy Chicken is double breaded and open fried. This creates a crunchier chicken, which Hochman says most Americans actually prefer compared to the Original Recipe chicken — despite the fact that many don’t realise it’s an option. “Extra Crispy Chicken is fried to a golden brown. George Hamilton isn’t fried to a golden brown, but he is tanned to a golden brown,” Hochman says, noting that the actor’s bold personality matches the chicken’s bolder flavour. The ads show Hamilton preparing Extra Crispy Chicken by hand on the beach, in the same way it is prepared in each KFC location. 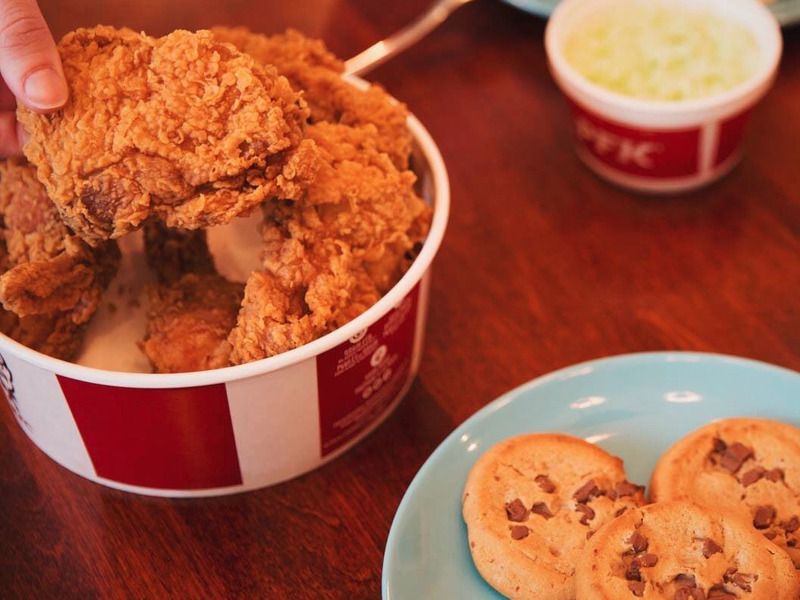 It’s a little detail, but, for KFC it’s part of a larger move to put the food front and center — and convince customers that the chain serves authentic, reliable food. Internally at KFC, Colonel Sanders represents high-quality chicken and “doing things the hard way” — something that Hochman hopes Sanders will soon represent to the general public as well. KFC lore says that the Colonel would travel to restaurants around the US in the 1970s, testing gravy with a golden spoon. If he didn’t like it, he would dump that gravy on the floor of the restaurant. Commercials starring “Colonel Sanders” attempt to make the connection of Colonel and quality for the average consumer, especially in instances such as the “Crispy Colonel” hand breading Crispy Chicken on the beach. KFC is further doubling down on this “food story” with new packaging for buckets that spell out the step-by-step of fried chicken production. The new buckets are rolling out now through July. Originally, bringing back Colonel Sanders was intended to grab Americans’ attention — something, Hochman says, marketing succeeded in doing. Now, new Colonels including the Extra Crispy Colonel, are tasked with convincing Americans that they can trust KFC when it comes to well-prepared, reliable fried chicken.